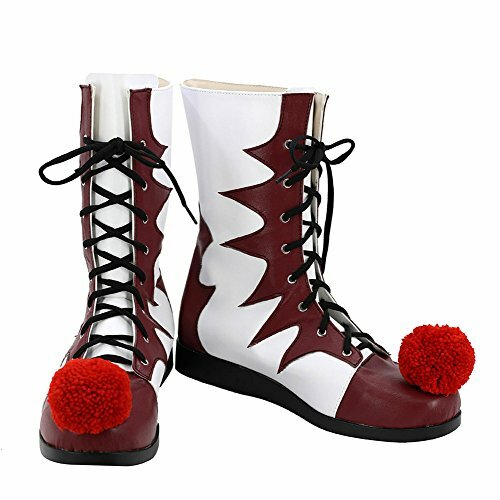 Whether you're dressing up for Halloween, work as a clown, or want to add some fun to any party, this cute clown is sure to bring smiles to all around. This Halloween its time for you to make them laugh! What will help out with that? 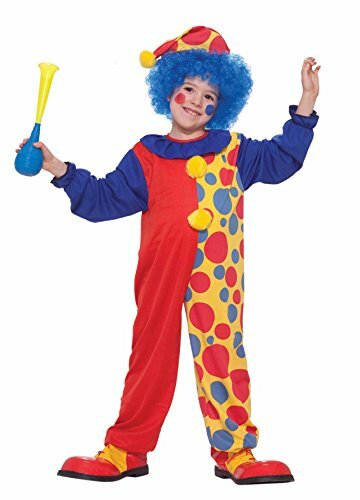 Choose this clown custome, you'll be sure to get some giggles. Return Policy Return is accepted within 7 days after the buyer's receiving the item. If this item is defective upon receipt, customer has up to 7 days from date of receipt for exchange of a new one. If the product has no quality problem and the buyer wants a return due to size problem, please note that that shipping and handling fee is not refundable. Buyer is responsible for shipping costs incurred shipping products back. CLOWN-02-Black-White Pu-1 Color: Black-White PU Available in Multiple Colors! 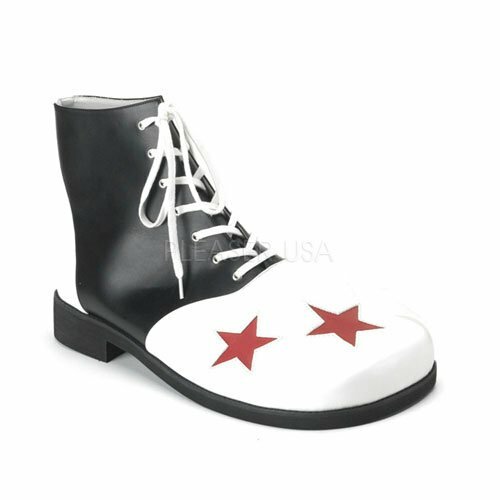 Clown-02 Boots in by Funtasma Features: -Clown-02 Boots in Black-White PU. 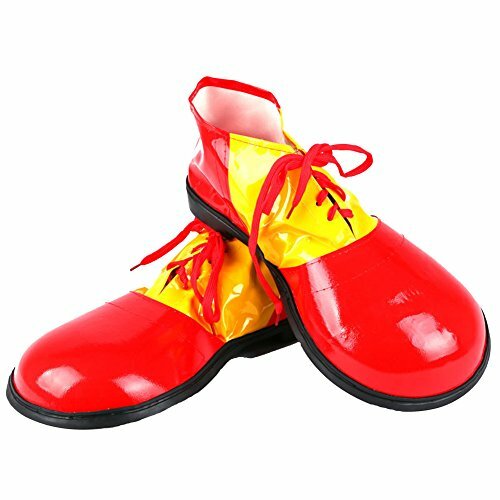 -Part of the Clown collection. 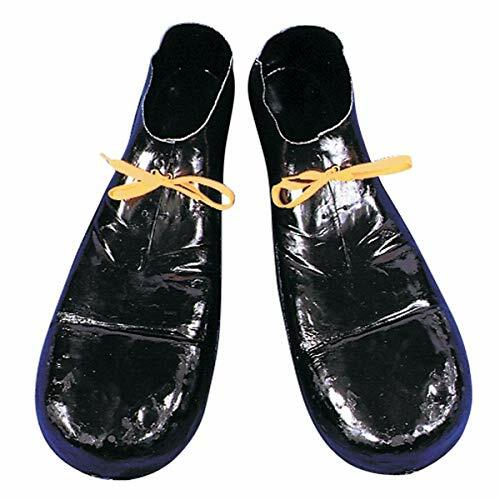 -Costume shoes. -Lace-up closure. -Available in your choice of:. 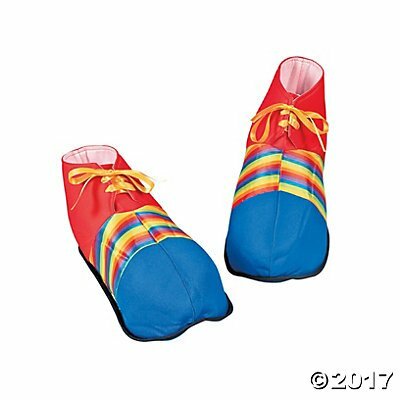 -Blue-Red PU (CLOWN02/BLUR/PU). -Black-White PU (CLOWN02/BW/PU). -Yellow-Red PU PU(CLOWN02/YLR/PU). Happy Halloween! 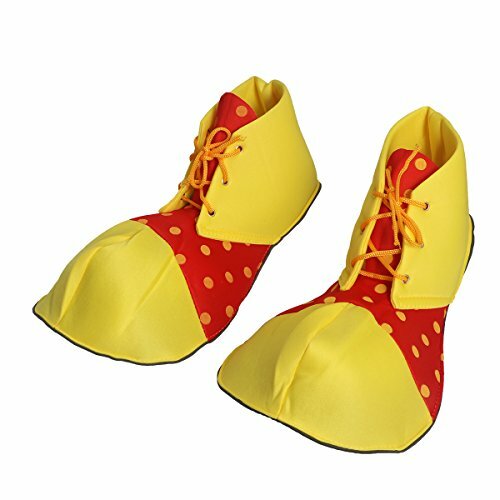 30 Seconds of Creepy Clown Dance Music "Clown Shoes"